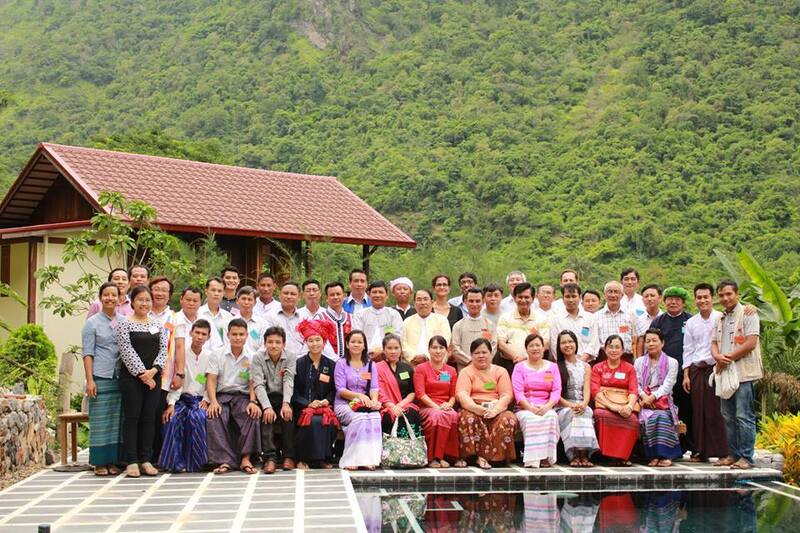 On 16-18 July, the Myanmar School of Politics (MySoP) alumni gathered together for a four-day alumni event, titled ‘The Power of Political Dialogue’ in Hpa’an, Kayin State, Myanmar. 37 alumni from 17 different political parties attended the event. Trainers at the event included former Dutch MP, Kathleen Ferrier (see photo), and Executive Director of the National Peace Council of Sri Lanka, Jehan Perera. They shared their knowledge and experiences on the benefits and challenges of political dialogue in a multiparty context. They also trained the alumni on the theory and skills of multiparty dialogue and negotiation. The Myanmar School of Politics is a joint programme of NIMD and Demo Finland. The School focuses on strengthening the democratic role of politicians and political parties at the regional and state level, as well as enhancing the practice of multiparty dialogue.